This is not about a remake of the television series, Dallas, which kept the United States waiting with baited breath to find out, “Who killed J.R.?” Reminiscent of November 23, 1963, when President Kennedy was fatally shot and within a mile radius of last nights shooting, today America grieves the loss of five slain police officers and prays for the seven wounded ones, along with bystanders of a peaceful march, but this is not a sequel to JFK, by Oliver Stone either. 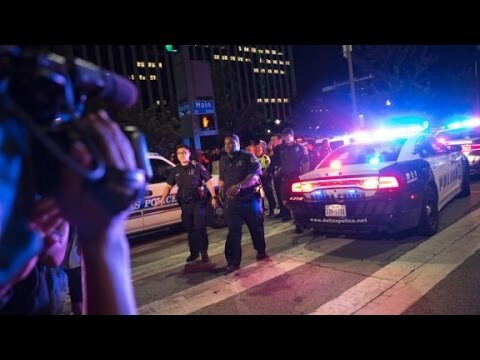 For those who remember Get Smart, the ‘chaos’ we’re experiencing in 2016 is very real and happening across our country, plus around the world, while some cry for more gun control, we’re living in a world, so out of control, that we just experienced the worst day for law enforcement, since 9/11. Personally, I was born in Newark, New Jersey, before the riots of the 1960’s and saw first hand how communities can change drastically, almost overnight and wait twenty years, before even a supermarket reopens. You could talk to others who survived the Bronx, New York, Watts in Los Angeles or more recently, FL, MO & LA. Katrina and Sandy were disasters, but these, although some would argue, were not man made. All the gun laws on the books in Chicago, IL, can’t keep the illegal guns off the streets or prevent the number of shooting deaths there, mostly because there are no values today, regarding human life of any form, including fifty to sixty million innocent children, killed just in America, since Roe vs. Wade, in their own mother’s womb. Today Paul Ryan said, “America has had a bad couple of days,” while Nancy Pelosi quoted Martin Luther King Junior and Saint Francis, which were mostly photo ops, although I do hope some real level of concern was there from both, enough to actually do something about the situations we find ourselves in, but I couldn’t help but think of F. D. R., after the Pearl Harbor attack, broadcasting, “We have nothing to fear, but fear itself!” What or who are we afraid of in this day and hour? How can we take down this invisible, yet obvious powerful force of fear? Ordained Bishop for Church of God, Cleveland, TN, in Rio Rancho, NM, Author, Conference Speaker, Coordinator for NM Prayer Connect, former radio host for the longest running, live, radio call-in program in NM, Ask The Pastor, Cross Culture NM, The Weekend Edition of NM News & Views and Faith Columnist writer for the Cibola Beacon Newspaper in Grants, NM & TV Producer. Obama's Useful IdiotsCould Trey Gowdy's Questions Put Hillary Clinton Behind Bars?